No social listening software provider focuses on the education industry. This is what stuck with me after I read the latest Now Tech social media platforms report from Forrester. No wonder campus-based professionals have such a hard time finding software that meets their needs. The Forrester report profiles 31 social listening software companies, and lists the top three market verticals for each company. The industries most frequently mentioned are consumer package goods (CPG), retail, and agency, and about half of the profiled software companies focus on at least one of these industries. Education doesn't even make the list and the only industry that may be largely nonprofit is healthcare. Social listening has strategic value for campuses (learn more in The Higher Ed Social Listening Handbook), but social listening software wasn't built for higher education. That doesn’t mean the software companies don't want your business—some of them are making big sales pushes into higher education right now (I'm sure you've gotten their emails). But they probably haven't done your job and are only beginning to understand your needs. To use the powerful—but imperfect—social listening tools available, higher education institutions need expert human analysts. Whether these specialists are in-house or at a partner like Campus Sonar, they must have an industry-specific understanding of the value and composition of social listening data. The specialists use their unique abilities to identify insights that may be lost if you’re relying on out-of-the box software visualizations or non-expert analysts. Here’s what that looks like. Artificial Intelligence (AI) is getting good. Some software can attempt to alert a user when someone displays intent to purchase their product. It’s pretty easy to look at language patterns and determine when people are talking about choosing a restaurant, a new phone, or even a car. But what does a purchase look like in education? Selecting a college is one of the first major decisions in a young person’s life. In today’s Recommendation Age, prospective students (and their parents!) are taking to social media to crowdsource their college search with their trusted family and friends. Identifying this engagement opportunity is the first opportunity to show a student and their family that you—and your institution—are there for them in their time of need, providing answers to questions which may be perpetuating their indecision and in the process winning over the student and their trusted circle of support. A purchase is a financial transaction, and campuses more than ever are in need of tuition dollars. Intent to purchase in higher education social listening may be a prospective student talking about applying, parents discussing their child's financial aid package, comments about a campus visit, or alumni discussing their thoughts on your giving day. Higher education social listening specialists work with powerful software that they can train to identify these moments of opportunity that have monetary value for your institution and will improve yield rate over time. Do you care if your campus has 5,000 mentions in a day, if they're all about your athletics program and your job is to recruit graduate students? One of the first things we learned when we started working with campus conversation data was the importance of segmenting athletics and non-athletics conversation. This is a task that combines software skills, linguistics, and industry and institution-specific knowledge to automate the sorting and categorizing of these two segments, minimizing the manual work required to identify these conversations. Other traditional segments (e.g., prospective students, current students, alumni) can be identified in online conversations with the assistance of software—but no software I’ve seen has student segments pre-programmed in the platform. Most social listening software provides some sort of automated sentiment analysis. But algorithms combined with sarcasm and the ever-changing slang prevalent with young people yields shaky results. The addition of emoji to everyday conversation adds another layer of nuance. A common emoji in prospective student conversation is the skull, but it doesn’t reference Halloween or a campus threat—it’s shorthand for “I’m dead,” which is shorthand for “I laughed so hard I died.” Over time, higher education social listening specialists can train their software to improve the automated recognition of sentiment because they know their audience and their software. It's laughable for most institutions to type their name and mascot into a social listening tool and expect relevant results. You likely share a campus name with historical figures, the name of a city or state, and in some cases other campuses. Higher education social listening specialists write beautiful, context-laden queries that find your conversations amidst the other, very similar, conversations about other people, places, and campuses. This ensures you’re starting with the largest possible sample of online conversations that are relevant to you. Taco Bell might not care that I went through the drive-through last night, purchased a power bowl, and never plan to come back again (they were so slow and it didn't taste that good). The lifetime value of an eater like me is fairly low. But campuses want a prospective student to yield an enrolled student, who is retained through graduation, and then contributes their time, talent, and treasure over the course of a lifetime. Because our customer lifetime value is significant, we need to build data-rich profiles (including social profiles) of our prospects, students, and alumni that last a lifetime, literally. Integrating social listening data into these profiles provides an always-on online focus group for each stage of your student life cycle. Who on your campus needs access to social listening data? For starters: marketing, admissions, communications, development, alumni relations, campus safety, legal, student affairs, athletics … and the list keeps growing. In large corporations, each department might get its own tool that serves its own needs. For small and mid-size campuses, that's just not practical. Social listening software tools (and analysts) need to make the same data set useful for a variety of business units. This is where Campus Sonar shines—we buy enterprise-level subscriptions to the software products that make sense for higher education, and share our access with our clients. The resulting cost of software for each client is minimal, and we can direct campus resources to the higher education social listening specialists that work with your data. Where do we go from here? Higher education needs to band together as an industry, share ideas with each other, and teach each other the specialized skillsets required to conduct this type of research and analysis. We’ll do our part by continuing to share tips and tricks here, in our monthly newsletter, and in publications like The Higher Ed Social Listening Handbook. If you’re motivated to develop and invest in this expertise on your team, we want to empower you. If you’re short-handed and know you need the help of a higher education social listening specialist—well, that’s what we’re here for. The entire Campus Sonar team contributed to this post. The post Social Listening in Higher Ed: Specialized Analysts Needed originally appeared on the Campus Sonar Brain Waves blog. Liz Gross is the founder and CEO of Campus Sonar. A recognized expert, data-driven marketer, and higher education researcher, Liz specializes in creating entrepreneurial social media strategies in higher education. She is an award-winning speaker, author, and strategist who was named a 2018 Mover and Shaker by Social Shake-Up Show and a finalist on GreenBook’s 2019 GRIT Future List. 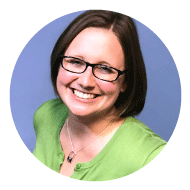 Liz has more than 15 years’ experience in higher ed and strategic social listening programs. She received a Ph.D. in Leadership for the Advancement of Learning and Service in Higher Education at Cardinal Stritch University, a master’s degree in educational policy and leadership from Marquette University, and a bachelor’s degree in interpersonal communication from the University of Wisconsin-Stevens Point.